Sara is home from summer camp! May 19th class we are personizing an in the hoop clutch. Sandy teaches several ways to machine quilt in this hands-on class. This is not a free motion quilting class. 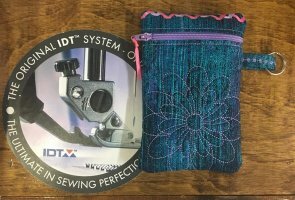 The kit is $50.00 and includes a small quilt top for you to learn on. Sandy covers how to prepare the top, batting, and backing, basting, and 5 different machine quilting techniques. 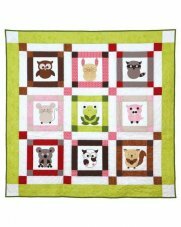 This is an intermediate machine applique, piecing, and Accuquilt GO! class. We will quilt in the hoop, sew decorative stitches and/or double ribbon stitches, and complete the case in the hoop! Kits are $10.00 and include (2) designs. 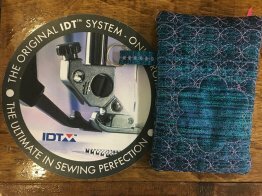 If your machine does not have the double ribbon stitches we can sub in a single ribbon or a decorative stitch. Each month we do a new in the hoop project or embroidery. This class is only for the Pfaff Embroidery machines Vision, Vision 5.5, Creative 4.5, Sensation, Sensation Pro, Sensation Pro 2. You have to know the basics of your machine.